Discovered the nifty wordpress iphone app today! Giving it a try and photographing the killer pumpkin chocolate chip cookies I whipped up today. Those cookies look yummy, remind me of a white chocolate pumpkin concoction that my sister made but I have been unable to duplicate. Can you share your recipe? 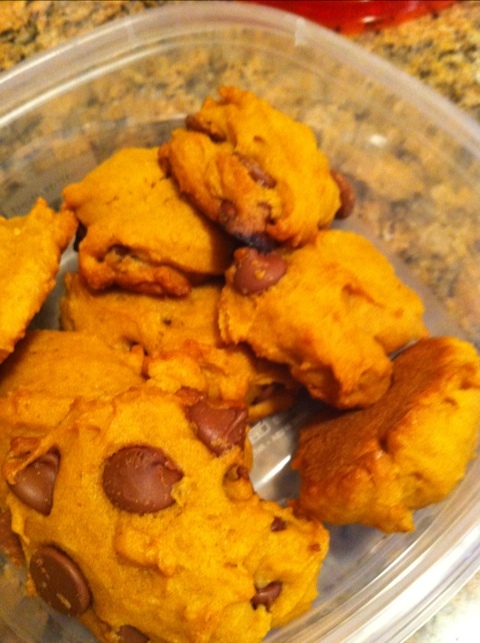 https://elizabites.com/2008/10/15/recipe-pumpkin-chocolate-chip-cookies/ or if that doesn’t work, just do a search in the box. They are truly life-changing. Didn’t think to try them with white chocolate chips! Great idea! You can do dark chocolate, or walnuts as well. Tell me how it goes!